A film that any aspiring filmmaker should see. You want to know how to make a fine film with only one actor in one set? 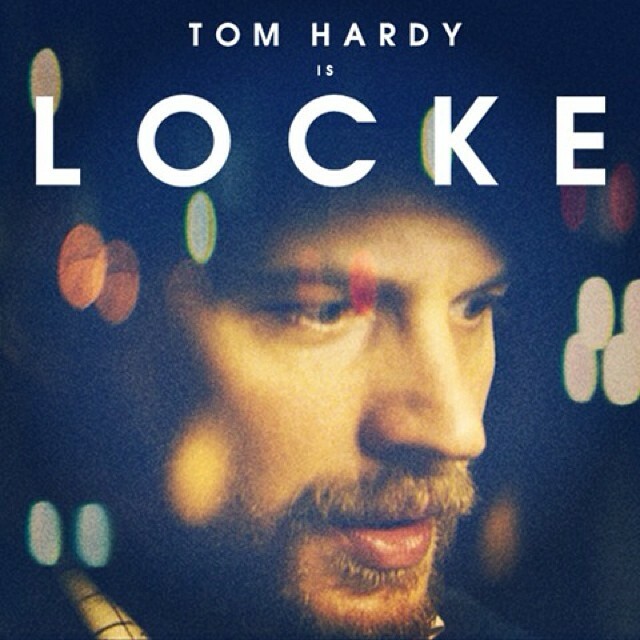 See what Steven Knight and Tom Hardy do with Locke. Ivan Locke is a construction manager wrapping up work for the day. Tomorrow will be the apotheosis of his career, the biggest cement pour outside of that undertaken by government or the military in history. He’s in his car on his way home. His wife is making sausages and wearing the team shirt. His kids are all excited about the big game that they’re all about to see. But he won’t be there. On his way home, he gets a phone call that will change his life. At the end of his car journey, he will have lost his wife, his home, his job and his children. But he will have made sure the cement job gets done properly and he will have done the right thing. Plus, knowing Ivan Locke as we’ve come to know him on this journey, it’s hard to believe that he won’t return home tomorrow and win back all he’s lost. The film is like a Hawkesian tale in which professionalism is indistinguishable from morality. Locke has to make sure the cement job gets done right and he also has to do the ‘right’ thing no matter what the cost to himself and those near him. He’s almost autistic in his attention to detail and he can’t lie. It’s an iconic role. If Hardy weren’t already a star, this role and his performance of it, would surely make him one. The character is bound to become iconic and a cultural reference point. Who wouldn’t want to be like Locke, slowly, methodically, systematically, humanely trying to answer everyone’s queries, solving everyone’s problems, being kind but truthful, trying to move resolve issues even as he knows that solving another’s problems is a move forward for another and a step backward and into the unknown to himself. Hardy is very moving, the changing tonalities of his voice in that gentle Welsh tone he adapts a mini-masterpiece of emoting. The film is in the tradition of those tour-de-force theatre pieces like Cocteau’s La voix humaine where a woman breaks up with a lover over the telephone and the whole play is one long monologue. Except here it’s a man talking, sometimes to his absent father, about what it is to be a man. And you do get to hear other voices at the end of the line, all wanting something. This is a tour-de-force performance for Hardy, who gets to act out practically every emotion going whist in the service of a character who must remain calm, stoic, methodical. Because, it’s a one-character piece in one set, the dialogue here also has to bear the brunt of exposition that in an ordinary film would be spread amongst other aspects of mise-en-scene. This is of course an opportunity for the director and cinematographer, how to make the visuals interesting and expressive whilst remaining locked in one car. They succeed. Haris Zambarloukos does a fabulous job with the cinematography. We get neon colours at night, reflections of reflections depending on Locke’s state of mind, frames within frames, sometimes one a direct image, the other but a shadowy reflection of one, the softening of fog, the sharpening of focus, multi-coloured indicators in the night. What starts off as a long journey into night ends up as a cantering journey into clarity, purposefulness, decisiveness. This is why the film is so pleasurable to watch. Locke is very moving, very fine. But it is perhaps also why it is no more than that. Hardy, however, is nothing less than great. PS Brummies might note with pleasure that in the film, the construction site in which the cement pour is to take place was the construction site of what is now The Cube. Addendum: In his recent How to Watch a Movie (London: Profile Books, 2015), David Thomson notes that Locke is the film that established Tom Hardy as a major figure and that, ‘No film I’ve seen in recent years is more eloquent on where we are now, and on how alone we feel. There is nothing left to do but watch and listen’ (p. 41). Great review Jose – though I do think the film is really impressive. The construction background – the ducking and diving, wheeling and dealing and risks taken by Locke – cast a dark shadow and make him a damaged, angry and fundamentally unstable character. If this is how our cities are built, are they safe? Yes. I think you’re right and I think it’s a film to see again and give more thought to. It’s a film that teaches me what cinematography should be. All those reflections and refractions and ringtones spray a post-modern glow onto everything. Oh, I do envy you your intelligence!